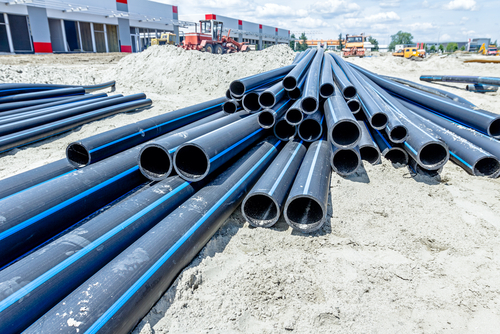 It’s a new year which means it’s time to kick your productivity into high gear by taking advantage of the many benefits of High Density Polyethylene (HDPE) Pipe. If you’re still on the fence about how this type of pipe can help improve your workflow and get the job done, allow us to enlighten you on its several advantages. For starters, HDPE addresses a major problem: corrosion. This corrosion can happen in and outside of the pipe, potentially affecting efficiency. HDPE is not susceptible to common issues such as rust, corrosion, or rotting, thanks to its design. It is also resistant to biological growth, which translates to better long-term durability and savings. Unlike most pipes which are manufactured for rigidity, HDPE is strong yet flexible and ductile. Its fatigue resistance is highly impressive and it is particularly useful in scenarios such as water distribution where surge events require the use of strong pipe. HDPE is incredibly efficient when it comes to heat fusion welds, creating strong leak-free joints to create robust systems. Natural gas systems have used HDPE for decades and training your team to properly fuse the pipe is much easier than it seems.